The crowd shared prayers, songs, and remembrances of the children. 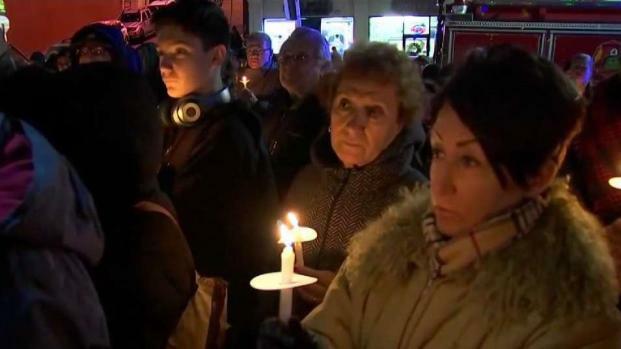 A vigil was held Thursday night for the two-month-old and five-year-old sisters killed when a motorist crashed into them in Revere, Massachusetts. Their father is now asking authorities for justice. 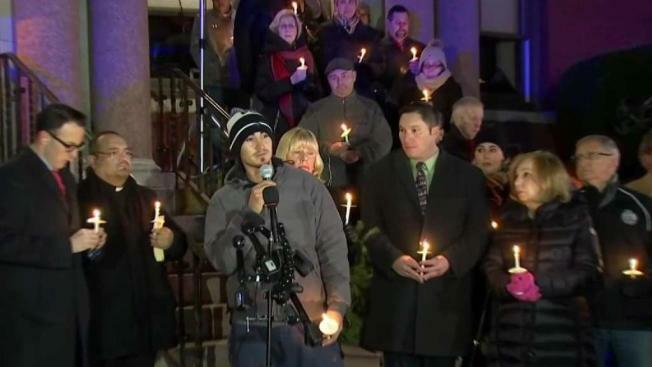 A vigil for the two-month-old and five-year-old sisters killed when a motorist crashed into them was held on Thursday night in Revere, Massachusetts. Two-month-old Natasha Nicole Mejia-Rivera succumbed to her injuries on Thursday after she and four others were injured in the pedestrian crash. The incident killed the infant's five-year-old sister, Adrianna, at the scene on Sunday. It was a very emotional gathering in front of Revere City Hall, where the crowd shared prayers, songs, and remembrances of the children. "This is pain you cannot explain," Edgar Mejia said about his daughters' deaths. The vigil was attended by people who worked at Garfield School, which was attended by five-year-old Adrianna. "She was just so sweet, always smiling," Leah Singer said. "She was just a happy-go-lucky kid and now for this to happen, it's like a tragedy." The SUV's driver, 42-year-old Autumn Harris of Beacon Hill, entered not-guilty pleas to charges of motor vehicle homicide and negligent operation of a motor vehicle at her arraignment on Monday. Harris was held on $10,000 bail and ordered to remain drug and alcohol-free if she posts the amount. She is scheduled to return to court on Jan. 10. Prosecutors say Harris told police she had one beer the afternoon of the fatal crash and had taken the sleep aid melatonin and a muscle relaxant. She also allegedly told police she vaped CBD oil in the SUV, had only slept two hours before working all day and that she may have fallen asleep while behind the wheel. New information has come to light showing that prosecutors reportedly tried to stop Harris from getting her license back in 2015 following a drunken driving case stemming from an accident in Medford, according to a new Boston Globe report. Harris is being represented by attorney Jeff Miller.